Curious what you feel Aquadive could do differently then since you just described a watch you didn’t keep and a watch you didn’t buy. 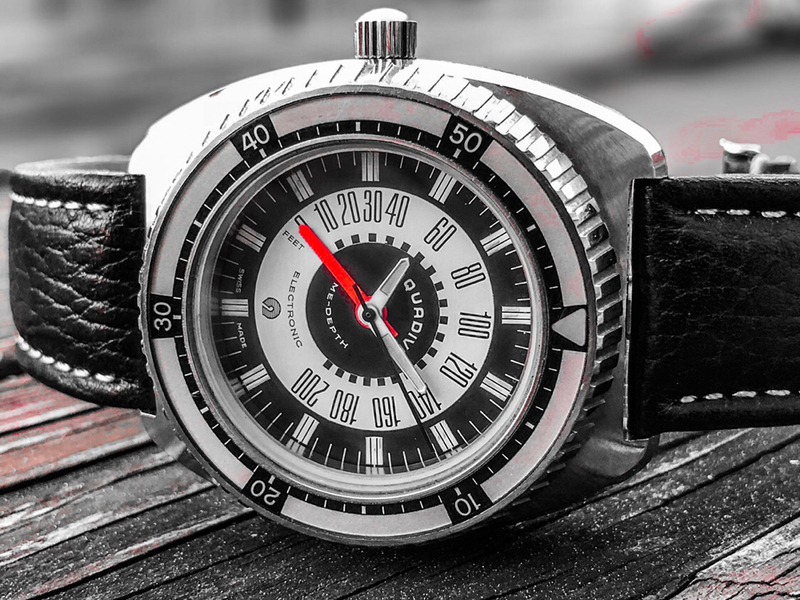 Aquadive could make a new version of the model 50 with a working depth guage. I'd buy one if not two. Doxa: 5000t Pro | 5000t Sharkhunter | 300t Divingstar Halios: Seaforth Sunburst Grey Sapphire Omega: Speedmaster 3750.50 | SMP 2254.50 | SMP 2255.80 "Electric Blue"
The Model 50 is an iconic watch got one for myself. I’m down for a model 50 reboot as well. Goblin77, Ladit, DaveandStu and 1 others like this. I briefly had a BS500. The case profile and movement were outstanding, but there was just something about my BS100s that jived more with my personal preference. I almost jumped on a BS300 5 Days when one came up for sale since it's so unique, but I had to talk myself down since that size is tough for my wrist to pull off. Don’t be scared off by the size. They are very easy to wear. I love my model 50.
arutlosjr11, Ladit and DaveandStu like this. If you wear the Model 50 on the left arm, than there is enough protection, because the crown is on the left side. But for your special circumstances I would rather recommend a contemporary tool watch like a Casio G-Shock or if you want something mechanical a tegimented Sinn U1, an icehardened Damasko, a Dievas or Dekla 6-Steel, or an Archimede Outdoor Protect. All of these watches got proper crown guards, swiss standard movements and hardened cases to withstand even the hardest wear and tear. The Model 50 was a hard to beat watch at its time and is a real classic now, but it will not fit the requirements of today. .I just wish they*aquadive) had recessed the crown more..I'll check out Ben's soon I hope in the flesh over a coldie or three!! Bendodds360 and Spring-Diver like this.